The Atlantic Freestyle Football Open takes place in three coastal cities throughout the UK. 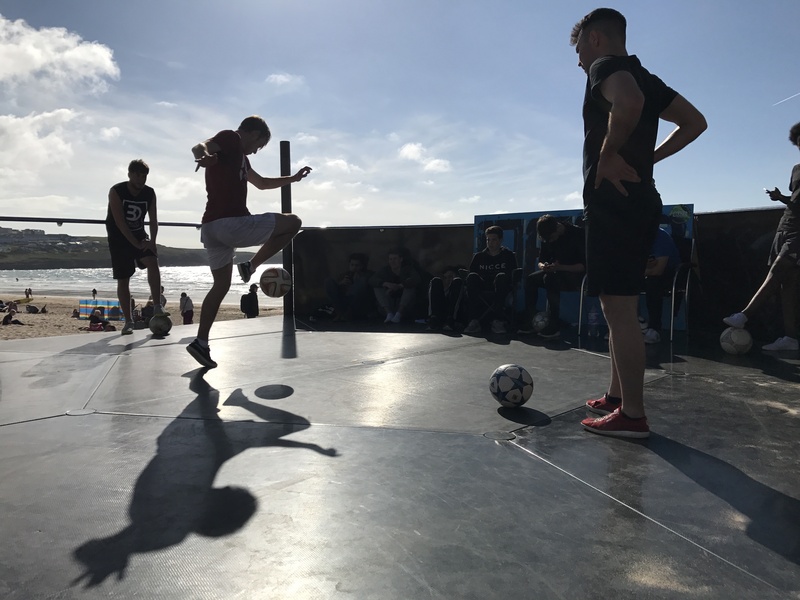 Now in its second year, the competition offers a chance for both beginners and pros to compete on picturesque beachside locations, while its second leg also doubles as the official UK and Ireland Freestyle Football Championships. 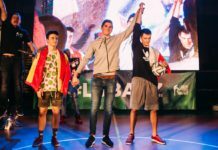 While countries like Poland, Mexico, and several Scandinavian locales have been hosting freestyle football competitions fairly regularly, over the past few years this has not been the case in the UK. 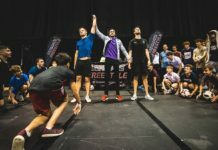 Up until last year, the sole event to look forward to was the combined UK and Ireland Freestyle Football Championships. The Atlantic Freestyle Football Open (AFFO) is changing that, and is now well and truly on the freestyle scene. It’s open to competitors of all ages, genders, nationalities, skill levels, hair colours (you get the picture) and serves as a perfect opportunity to get some practice on stage as well as meet up with other freestylers in the scene. 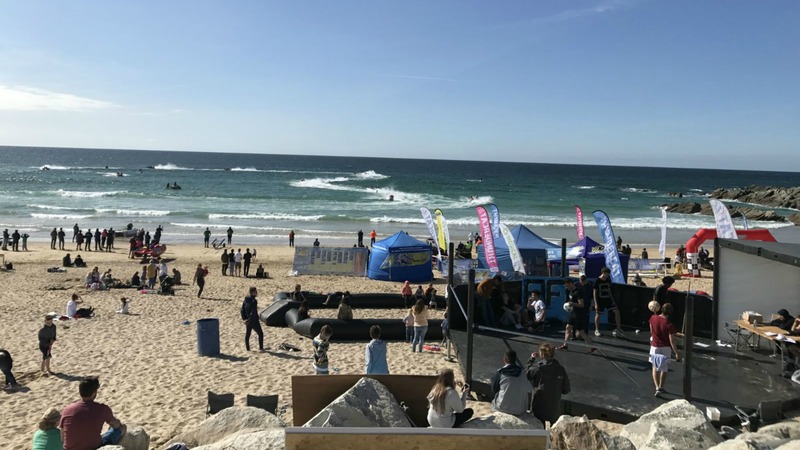 The first of this year’s three AFFO events took place this past Saturday, April 22, at Fistral Beach, Newquay, in South West England. Yes you read that correctly, a beach. Away from the concrete jungle and indoor venues usually associated with freestyle competitions, the AFFO is a great blend of natural, coastal beauty mixed with raw, urban freestyle skills. Competitors enjoyed a stunning backdrop of one of Cornwall’s finest beaches—a destination that often attracts thousands of tourists—with an impressive setup of a carbon-fiber stage and a heaping of dubstep/grime tunes from DJ Angel Newquay. While the event might be deemed small in comparison to other freestyle competitions, this didn’t detract from the crazy high level of skill on display that day. I myself would have loved to compete, but due to an injury I found myself strangely taking up the role of MC of the event. So between commentating on the tricks that were happening and keeping track of the battle timer, I got a front row seat of all the action. 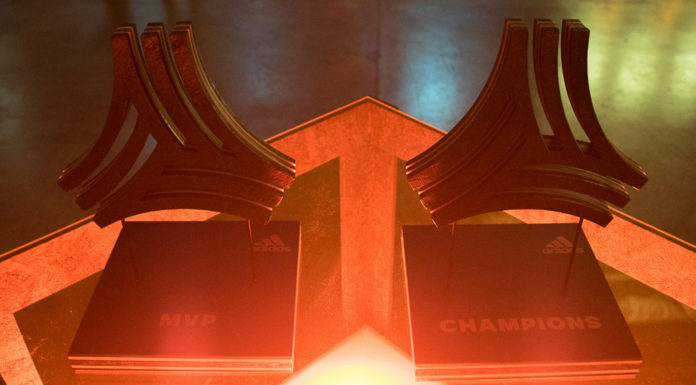 A total of 10 competitors, many of whom were competing for the first time, unleashed some jaw-dropping skills to a star-studded judging panel in three different event categories: Battles, Sick 3, and Challenge. The freestyle judges for the day, (from left) Sebastian Kuduk, Luca Chiarvesio, and Jamie Macdonald. 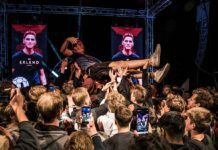 In the Battles, rising star Jesse Marlet, who came all the way from the Netherlands to compete, managed to win a hotly contested final against Irish freestyler Conor Reynolds. The atmosphere was at its very best for this main event, but it was the Dutch sensation who came out on top. 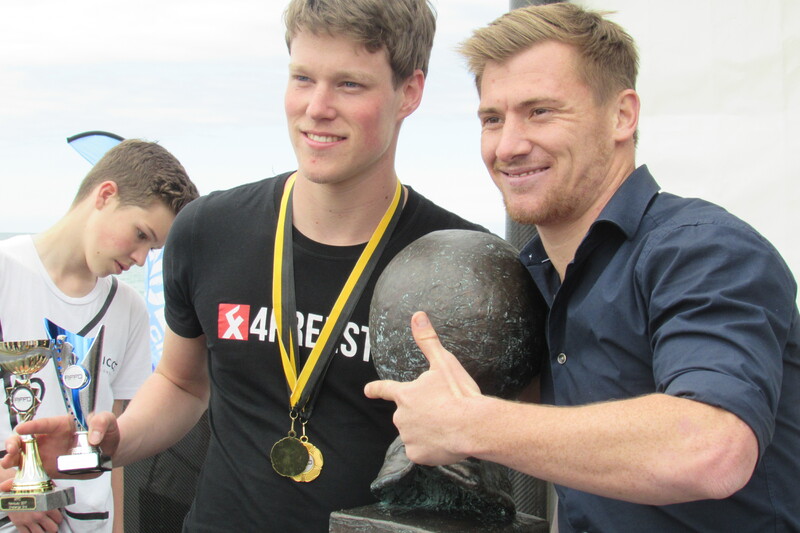 World Champion Andrew Henderson (right) presented the unique, hand-sculpted AFFO trophy to the Netherlands’ Jesse Marlet after his first place finish in the Battles. In the Sick 3, where we see freestylers pull off their most explosive and difficult lower body combos consisting of only three tricks, Marlet also won this event with a crazy HTLATW-HTW-SkATW combo you can see below. The UK’s Josh Sanders came in second and third place went to Griffin Berridge, also of the UK. Reynolds was victorious in the Challenge event, where freestylers work their way through a progressively difficult list of tricks and combos with a limited amount of attempts. Sudden death was implemented to determine second and third place, which went to Marlet and Sanders, respectively. Aside from the stunning scenery, one of the things that makes this event so unique is the laid back vibes it induces. Yes it is a competition, but you can clearly see and feel there is an emphasis on enjoyment and participation. It’s freestyle in its purest form, no? We even started the day with a yoga class out on the competition stage! I challenge you to find another freestyle competition anywhere in the world that would do this! 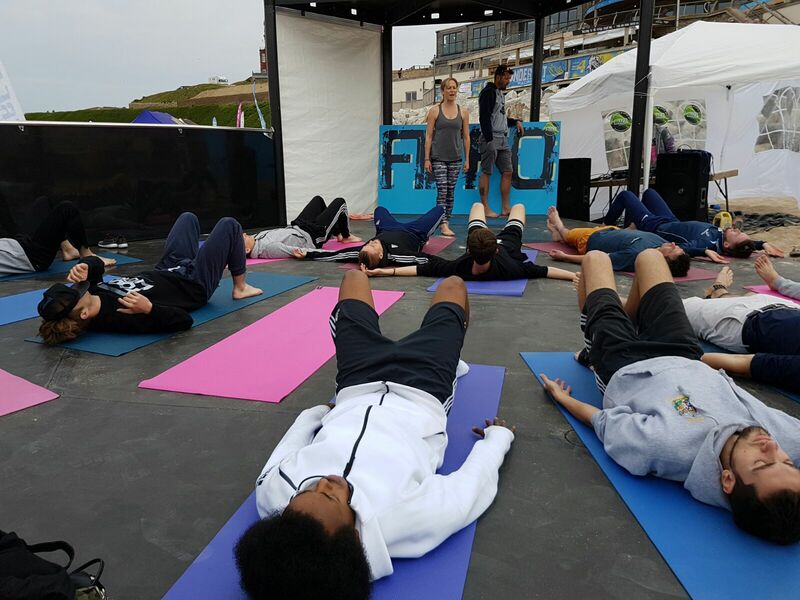 Yoga instructor Kali Green was on hand to deliver a class for the athletes before the competition. When the competition was finished the weather was also at its finest and the freestylers made the most of this by continuing to train on the stage and soak up the sun, a true testament to the positive vibes and joy of freestyle experienced that day. 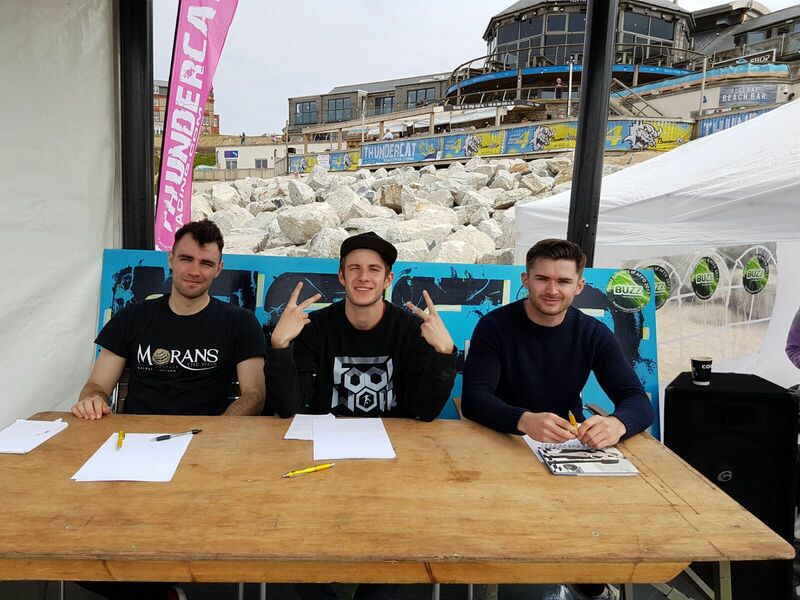 Since last year’s debut, the AFFO has partnered with Thundercat Racing to host three events along the British coast, making it a freestyle football ‘tour’ as such. A winner will be crowned after accumulating points at the end of all the events. The next two will take place on May 20 in Bournemouth and Aug. 12 in Clevedon. Notably, the Bournemouth competition will also double as the official UK and Ireland Freestyle Football Championships. Even with its very limited budget, this event was a huge hit with everyone and a massive amount of respect goes to the tournament organizer and participants. With the next event on the AFFO tour fast approaching, it will be great to see how things develop from here, no doubt getting bigger and better each time. Find out more about the Atlantic Freestyle Football Open here.